A great *stepping stone* so to speak if you have no experience is to look into the mining industry. Many of the big mining companies in Western Australia are hiring both skilled and unskilled workers offering a well paid career in the mining industry. Many mining companies are hiring workers for jobs with little or no mine experience, offering to train them to fill the positions they need. These days a career in the mining industry is no longer the *dangerous* occupation it once was. Advances in world class machinery and safety practices have reduced the risk, with mine operators now willing to hire those with no experience. There are hundreds of mines in operation around Australia with many offering jobs to workers with no experience needed. 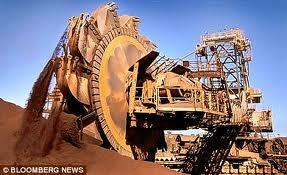 With the demand worldwide for minerals, the mines of Western Australia now have a huge demand for unskilled labour. Many new to the mine industry are professionals with years of training and skills from other industries, who find the change to a new profession in the mining industry is beneficial rewarding them with an increase in salary. If you have the right mindset and are interested in a career in the mining industry – with or without any mine related skills you can approach such companies as BHP Billiton or Rio Tinto and secure a job with training. Salaries can be excellent – even for those with little or no experience – paying anywhere from $1,200 to $2,000 a week, with the average salary in the mining industry around $90,000 a year. Those looking for mining industry jobs can often work alongside experienced mine workers in positions such as drilling offsiders or assistants. There are also jobs in the catering field, cleaning and kitchen work. Companies such as Aus-Com and Richards Mining Services offer training for those lacking skills and they can also help place you in a job with some of the major mining industry companies. If you can obtain the qualifications and skills that the mine operators are looking for you can increase your chances of securing work. Positions on mine sites can be either residential positions where you will live in a mining township and be taken by company bus each day to the mine and back or a drive in drive out (DIDO) position. This is where you drive to the mine from your home, but stay in accommodation on site working the shift as set out in your roster, once your roster has finished you return to your home.